Any time there is an attack on civilians in the post-9/11 West, demagogues immediately blame it on Muslims. They frequently lack evidence, but depend on the blunt force of anti-Muslim bigotry to bolster their accusations. Actual evidence, on the other hand, shows that less than two percent of terrorist attacks from 2009 to 2013 in the E.U. were religiously motivated. In 2013, just one percent of the 152 terrorist attacks were religious in nature; in 2012, less than three percent of the 219 terrorist attacks were inspired by religion. The vast majority of terrorist attacks in these years were motivated by ethno-nationalism or separatism. In 2013, 55 percent of terrorist attacks were ethno-nationalist or separatist in nature; in 2012, more than three-quarters (76 percent) of terrorist attacks were inspired by ethno-nationalism or separatism. These facts, nonetheless, have never stopped the prejudiced pundits from insisting otherwise. 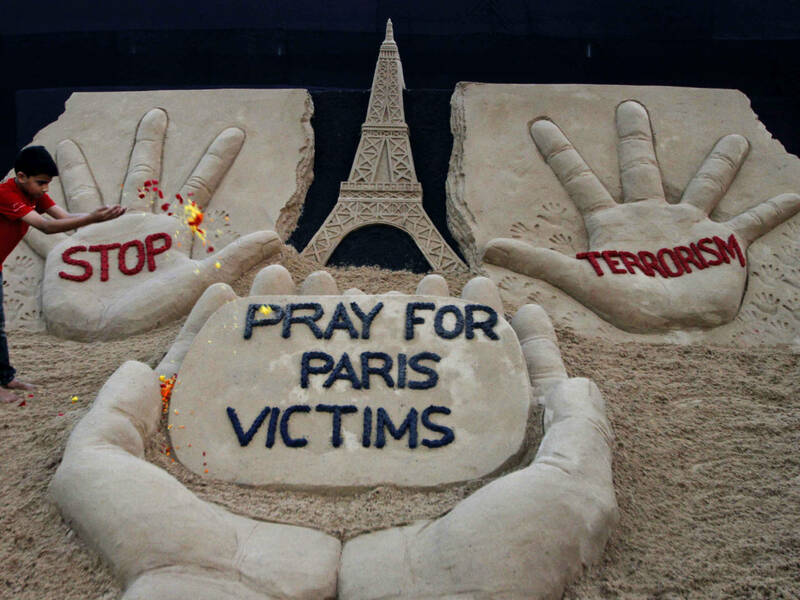 On Friday the 13th of November, militants massacred at least 127 people in Paris in a series of heinous attacks. There are many layers of hypocrisy in the public reaction to the tragedy that must be sorted through in order to understand the larger context in which these horrific attacks are situated — and, ultimately, to prevent such attacks from happening in the future. As soon as the news of the attacks broke, even though there was no evidence and practically nothing was known about the attackers, a Who’s Who of right-wing pundits immediately latched on to the violence as an opportunity to demonize Muslims and refugees from Muslim-majority countries. In a disgrace to the victims, a shout chorus of reactionary demagogues exploited the horrific attacks to distract from and even deny domestic problems. They flatly told Black Lives Matter activists fighting for basic civil and human rights, fast-food workers seeking liveable wages and union rights, and students challenging crippling debts that their problems are insignificant because they are not being held hostage at gunpoint. More insidiously, when evidence began to suggest that extremists were responsible for the attacks, and when ISIS eventually claimed responsibility, the demagogues implied or even downright insisted that Islam — the religion of 1.6 billion people — was to blame, and that the predominately (although not entirely) Muslim refugees entering the West are only going to carry out more of such attacks. Every time Islamic extremists carry out an attack, the world’s 1.6 billion Muslims are expected to collectively apologize; it has become a cold cliché at this point. Who benefits from such clampdown on Muslims and refugees? 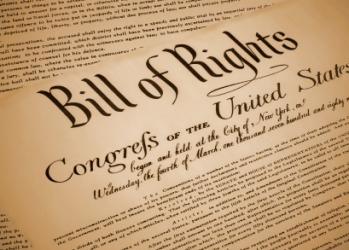 Two primary groups: One, Islamic extremist groups themselves, who use the clampdown as “evidence” that there is supposedly no room for Muslims in the secular West that has declared war on Islam; and two, Europe’s growing far-right, who will use the attacks as “evidence” that there is supposedly no room for Muslims in the secular West that should declare war on Islam. Although enemies, both groups share a congruence of interests. The far-right wants Muslims and refugees from Muslim-majority countries (even if they are not Muslim) to leave because it sees them as innately violent terrorists. Islamic extremists want Muslim refugees to leave so they can be radicalized and join their caliphate. More specifically, to name names, ISIS and al-Qaeda will benefit from the clampdown on Muslims and refugees, and Europe’s growing far-right movement will continue to recruit new members with anti-Muslim and anti-refugee propaganda. ISIS has explicitly stated that its goal is to make extinct what it calls the “grayzone” — that is to say, Western acceptance of Muslims. 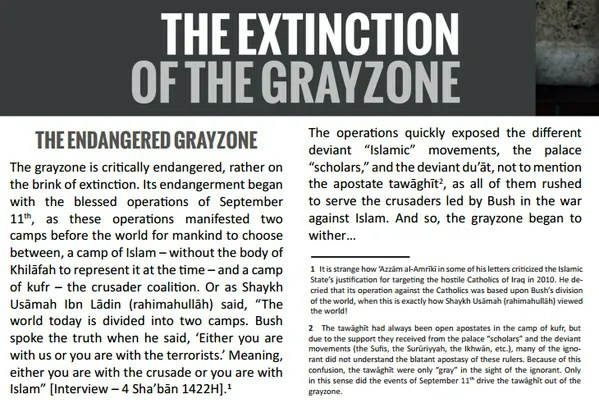 The “endangerment” of the grayzone “began with the blessed operations of September 11th, as those operations manifested two camps before the world for mankind to choose between, a camp of Islam … and a camp of kufr — the crusader coalition,” wrote ISIS in its own publication. By making ISIS go viral, we are only helping them accomplish their sadistic goals. Before the Paris attacks, Le Pen’s extreme-right movement was France’s second-largest party. Now it may become the first. There are hundreds of terrorist attacks in Europe every year. The ones that immediately fill the headlines of every news outlet, however, are the ones carried out by Muslims — not the ones carried out by ethno-nationalists or far-right extremists, which happen to be much more frequent. In fact, the opposite happened; the victims of the ISIS attacks were characterized in the U.S. media as Hezbollah human shields and blamed for their own deaths based on the unfortunate coincidence of their geographical location. Some right-wing pundits even went so far as to justify the ISIS attacks because they were assumed to be aimed at Hezbollah. Nor did the White House interrupt every news broadcast to publicly condemn the ISIS massacre in Turkey in October that left approximately 128 people dead and 500 injured at a peaceful rally for a pro-Kurdish political party. More strikingly, where were the heads of state when the Western-backed, Saudi-led coalition bombed a Yemeni wedding on September 28, killing 131 civilians, including 80 women? That massacre didn’t go viral, and Obama and Hollande did not apologize, yet alone barely even acknowledge the tragedy. Do French lives matter more than Lebanese, Turkish, Kurdish, and Yemeni ones? Were these not, too, “heinous, evil, vile acts”? We have seen this all before; it should be oddly familiar. The reaction to the horrific January 2015 Paris attacks was equally predictable; the knee-jerk Islamophobia ignored the crucial context for the tragic attack — namely the fact that it was was the catastrophic U.S.-led war on Iraq and torture at Abu Ghraib, not Charlie Hebdo cartoons, that radicalized the shooters. Also ignored was the fact that the extremist attackers were sons of émigrés from Algeria, a country that for decades bled profusely under barbarous French colonialism, which only ended after an even bloodier war of independence in 1962 that left hundreds of thousands of Algerians dead. After the January Paris attacks, leaders from around the world — including officials from Western-backed extremist theocratic tyrannies like Saudi Arabia — gathered in Paris to supposedly participate in a march that turned out to actually be a carefully orchestrated and cynical photo op. And not only are Muslims collectively blamed for such attacks; they, too, collectively bear the brunt of the backlash. In just six days after the January attacks, the National Observatory Against Islamophobia documented 60 incidents of Islamophobic attacks and threats in France. TellMAMA, a U.K.-based organization that monitors racist anti-Muslim attacks, also reported 50-60 threats. Once again, mere days before the January Paris attacks, the global community largely glossed over another horrific tragedy: The slaughter of more than 2,000 Nigerians by Boko Haram. The African victims didn’t get a march; only the Western victims of Islamic extremism did. A little-discussed yet crucial fact is that the vast, vast majority of the victims of Islamic extremism are themselves Muslim, and live in Muslim-majority countries. A 2012 U.S. National Counterterrorism Center report found that between 82 and 97 percent of the victims of religiously motivated terrorist attacks over the previous five years were Muslims. The West frequently acts as though it is the principal victim, but the exact contrary is true. Never interrogated is why exactly are so many refugees fleeing the Middle East and North Africa. It is not like millions of people want to leave their homes and families; they are fleeing violence and chaos — violence and chaos that happens to almost always be the result of Western military intervention. Syria is a bit more complicated. Many refugees in the country, which has been torn apart by almost five years of bitter war, are fleeing the brutal repression of the Assad government. Western countries and their allies, however, share some of the blame. Allies such as Saudi Arabia and Turkey have greatly inflamed the conflict bysupporting extremist groups like al-Qaeda affiliate al-Nusra. And it should go without saying that millions of Syrian refugees are fleeing the very same terror at the hands of ISIS that the group allegedly unleashed upon Paris. By suppressing Syrian and Iraqi refugees fleeing the ruthlessly violent extremist group, France and other Western countries will only be further adding to the already shocking number of its victims. When the U.S. and its allies bomb weddings and hospitals in Yemen and Afghanistan, killing hundreds of civilians, “Americans” doesn’t trend globally on Twitter. Yet when Parisians are allegedly killed by Islamic extremists, “Muslims” does. The imperialist West always try to dislocate the blame. It’s always the foreigner’s, the non-Westerner’s, the Other’s fault; it’s never the fault of the enlightened West. Islam is the new scapegoat. Western imperial policies of ravaging entire nations, propping up repressive dictators, and supporting extremist groups are conveniently forgotten. The West is incapable of addressing its own imperial violence. Instead, it points its blood-stained finger accusingly at the world’s 1.6 billion Muslims and tells them they are the inherently violent ones. 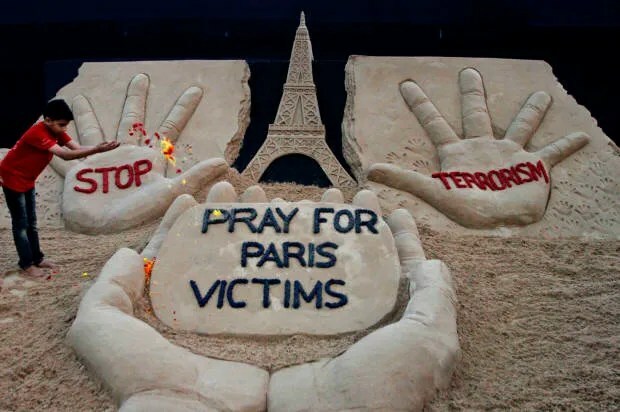 Unfortunately, tragedies like the one we see in Paris are daily events in much of the Middle East, no thanks to the policies of the governments of France, the U.S., the U.K., and more. The horrific and unjustifiable yet rare terrorist attacks we in the West experience are the quotidian reality endured by those living in the region our governments brutalize. This does not mean we should not mourn the Paris attacks; they are abominable, and the victims should and must be mourned. But we should likewise ensure that the victims of our governments’ crimes are mourned as well. If we truly believe that all lives are equally valuable, if we truly believe that French lives matter no more than any others, we must mourn all deaths equally. We know the responses to attacks like these. Great danger lies in them continuing on the same way. Governments are going to call for more Western military intervention in the Middle East, more bombs, and more guns. Hard-line right-wing Senator Ted Cruzimmediately demanded airstrikes with more “tolerance for civilian casualties.” Naturally, the proposed “solution” to individual acts of terror is to ramp up campaigns of state terror. At home, they will call for more fences, more police, and more surveillance. Immediately after the Paris attacks, France closed its borders. In the U.S., as soon as the attacks were reported, the NYPD began militarizing parts of New York City. 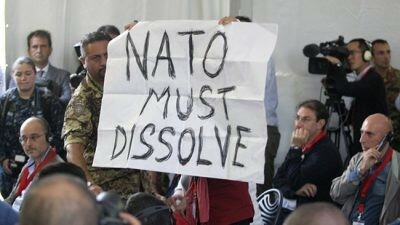 The hegemonic “solution” is always more militarization, both abroad and here at home. Yet it is in fact militarization that is the cause of the problem in the first place. At the time of the atrocious 9/11 attacks, al-Qaeda was a relatively small and isolated group. It was the U.S.-led war in and occupation of Iraq that created the conditions of extreme violence, desperation, and sectarianism in which al-Qaeda metastasized, spreading worldwide. The West, in its addiction to militarism, played into the hands of the extremists, and today we see the rotten fruit borne of that rotten addiction: ISIS is the Frankenstein’s monster of Western imperialism. Moreover, Western countries’ propping up of their oil-rich allies in the Gulf, extremist theocratic monarchies like Saudi Arabia, is a principal factor in the spread of Sunni extremism. The Obama administration did more than $100 billion of arms deals with the Saudi monarchy in the past five years, and France has increasingly signed enormous military contracts with theocratic autocracies like Saudi Arabia, the UAE, and Qatar. If these are the strategies our governments continue to pursue, attacks like those in Paris will only be more frequent. The far-right will continue to grow. Neo-fascism, the most dangerous development in the world today, will gain traction. People will radicalize. The incidence of attacks inspired by ethno-nationalism or far-right extremism, already the leading cause of European and American terror, will increase even further. The pundits will boost anti-Muslim bigotry and feed the anti-refugee fervor. In doing so, they will only make matters worse. The Paris attacks, as horrific as they are, could be a moment to think critically about what our governments are doing both abroad and here at home. If we do not think critically, if we act capriciously, and violently, the wounds will only continue to fester. The bloodletting will ultimately accelerate. In short, those who promote militarist policies and anti-Muslim and anti-refugee bigotries in response to the Paris attacks are only going to further propagate violence and hatred. If the political cycle is not changed, the cycle of violence will continue. Ben Norton is a politics staff writer at Salon. You can find him on Twitter at@BenjaminNorton.